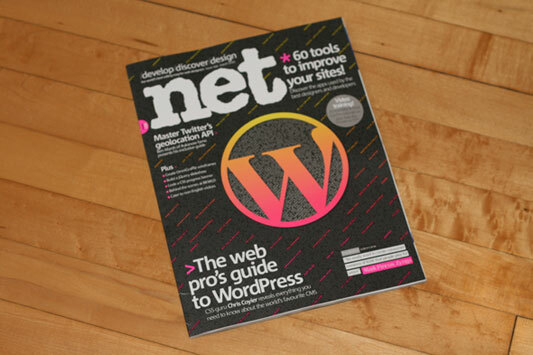 I just got my hands on issue #199 of .net Mag. I did an article for it on WordPress, and it's on the cover! They did use the wrong W for the cover, but I'm sure they got enough flack for it they won't mess that up again =). This is probably practically an old issue for UK folks, but big bookstores in the U.S. I find do tend to stock this magazine (Sold as "Practical Web Design" in the U.S.) but always a few issues old, so I bet you could find it around about now.